Just an FYI for all XSI-zealots like me out there. 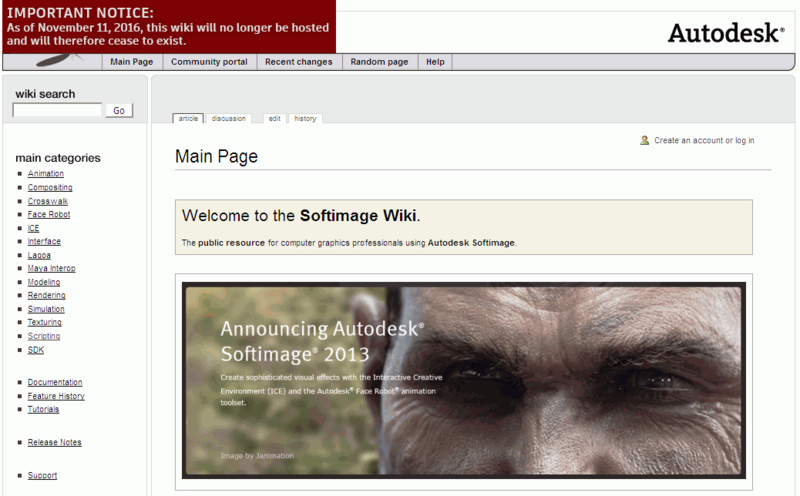 Autodesk decided to stop hosting the Softimage Wiki portal due to... Well, who the heck cares anymore? I guess it's too expensive for a large international company to host a couple of gigs of files. At least they had the courtesy to warn us beforehand. So if there's something you need from the portal you better make a local copy before Nov, 11.